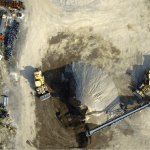 Aerial Service Industries | Canadian UAV Solutions Inc. Aerial Service Industries | Canadian UAV Solutions Inc.
We serve many aerial service industries with our innovative UAV solutions. Here at Canadian UAV Solutions Inc., we proudly serve many different industries, including construction, engineering, agricultural, environmental, aggregates and mining businesses, as well as special events. Whether you run a construction firm or need assistance before a special event, we will refine our UAV solutions to meet your exact needs, whatever they may be. Then, using cutting-edge technology, we can capture stunning, compelling video or photo for your project or objectives. For more information about the many industries we serve and the benefits of working with our team, reach out to us today. 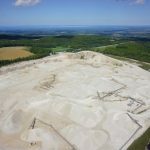 Canadian UAV Solutions provides a number of advantages over ground based data gathering techniques in the field of mining and aggregates. Reinvent the way your company does stockpiles! Safe, Affordable, and Highly Accurate. Get an aerial perspective of the proposed project site. Once the project has started, our programmable flight capabilities allow us to return to the exact position throughout construction, as well as capture final completion images. Canadian UAV Solutions is at the leading edge of UAV applications in agriculture, and is the only provider in Ontario to offer both Multi Rotor VTOL, and Fixed Wing UAVs. This allows us to operate in both smaller, confined fields, as well as large open ones. Our aerial inspections provide valuable information that may not have been available through more traditional methods.Our Aerial Inspections in Ontario provide detailed information, faster and safer than some traditional methods.